The Visegrad Youth Forum (VYF) made its return to the city of Banska Bystrica, the “Heart of Slovakia” for the sixth time. VYF 2017 took place between December 6 and December 8, uniting young academics and experts from Hungary, Poland, the Czech Republic, Slovakia and, for the very first time ever, from Baltic states, in discussions about topics such as defense cooperation and the future of V4 cooperation. The sixth installment of the Visegrad Youth Forum focused on the topics of defense cooperation within the V4 region and Euro-Atlantic structures, as well as the future of Visegrad cooperation in an ever-changing regional and global environment. VYF 2017 was highlighted by a simulation of a NATO and Russia summit in the Crisis Management Center (CEKR) at the Faculty of Political Science and International Relations of Matej Bel University, during which the event’s participants were assigned roles of state leaders, with their goal being to reach a consensus on the issue of strengthening the Alliance’s eastern border. This year’s event was held under the auspices of Mr. Ivan Korčok, State Secretary of the Ministry of Foreign and European Affairs of the Slovak Republic. 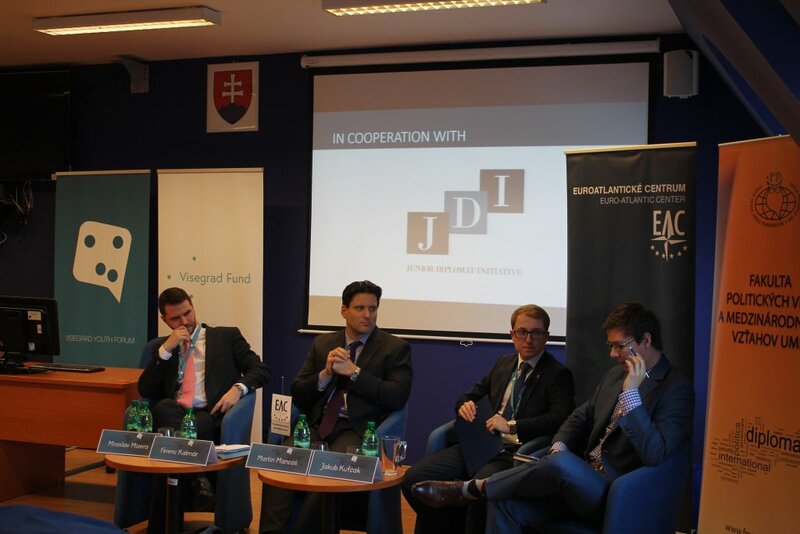 The panel discussion of VYF 2017 titled „Defense Cooperation: Mission (Im)Possible?“ was introduced by the opening remarks of Jaroslav Ušiak, Vice Dean for International & Public Relations of the Faculty of Political Science and International Relations of the Matej Bel Unviersity. Speaking at the discussion were Ferenc Kalmár, Deputy Head of the Defence Policy Unit of the Ministry of Defence of Hungary, Miroslav Mizera, Special Advisor to the Deputy Minister of Defence of the Slovak Republic and Jakub Kufčák, Research Fellow at the AMO Research Center and Member of the Supervisory Board of AMO. Aside from the panel discussion, workshops and the simulation, the program of this year’s edition of the Visegrad Youth Forum included an excursion at the Training Centre Lešť, which mainly focuses on the training of special units of the Slovak Armed Forces, as well as other special forces that are part of the security framework of Slovakia. 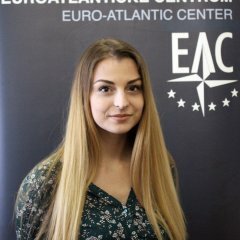 The Visegrad Youth Forum is a project organized by the Euro-Atlantic Center in cooperation with the Faculty of Political Science and International Relations of the Matej Bel University in Banská Bystrica, the Rotaract club Banská Bystrica and partner organizations from V4 countries. The sixth edition of the event was made possible thanks to the financial support of the International Visegrad Fund, the Public Diplomacy Division of NATO, the Ministry of Foreign and European Affairs of the Slovak Republic, the city of Banská Bystrica and the Rotary club Banská Bystrica.